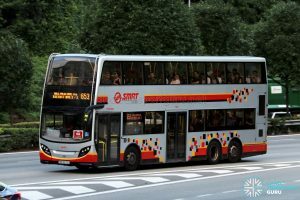 SMRT City Direct Service 653 is an AM/PM Peak City Direct service between Hume/Bukit Batok and the CBD, passing through PIE, AYE and Shenton Way. 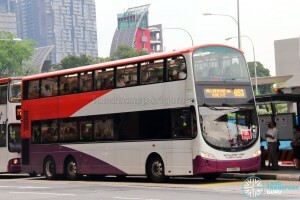 It is the third City Direct route introduced under the Bus Service Enhancement Programme (BSEP). 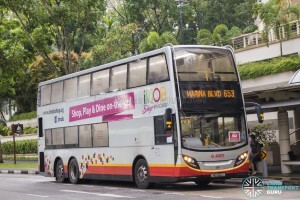 City Direct Service 653 provides residents of Hume and Bukit Batok with greater connectivity to the CBD. By running parallel to existing rail lines, the service provides a travel alternative for commuters who relied on the rail network and feeder buses to and from work. 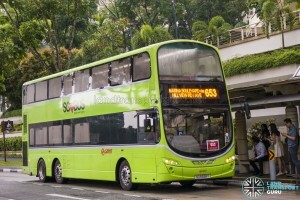 The route incorporates an express sector between Bukit Batok East Ave 3 and Shenton Way via PIE, Clementi Avenue 6 and AYE. 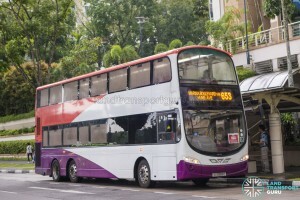 This is the third City Direct service to be introduced under the Bus Service Enhancement Programme (BSEP), and one of ten proposed City Direct bus routes to be progressively introduced until the 2nd Quarter of 2014. This provides more options for commuters using stretches of the existing rail lines that experience persistently high ridership, while the ongoing rail enhancement measures are being implemented. Fares: Charges regular distance-based express fares. 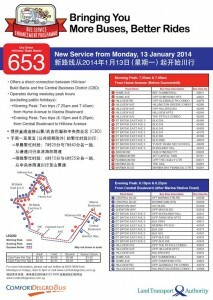 2014 (13 Jan): Introduced as a bidirectional AM/PM-Peak hour service from Upper Thomson to the CBD under the BSEP. Operates two trips on weekday mornings at 7:25am and 7:40am, and weekday evenings at 6:10pm and 6:25pm. Charges Distance-based flat fares. 2014 (31 Mar): Third morning trip added, departure times from Hume Ave revised to 7:20am, 7:30am and 7:40am. 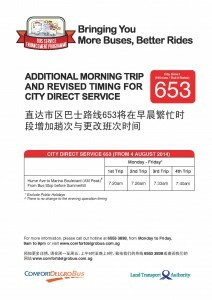 2014 (04 Aug): Fourth morning trip added, departure times from Hume Ave revised to 7:20am, 7:26am, 7:33am and 7:40am. 2015 (16 Mar): Fifth morning trip added, departure times from Hume Ave revised to 7:15am, 7:21am, 7:27am, 7:33am and 7:40am. 2015 (29 Jun): Third evening trip added, departure times from Central Blvd revised to 6:10pm, 6:20pm and 6:30pm. 2015 (26 Oct): Sixth morning trip added, departure times from Hume Ave revised to 7:15am, 7:21am, 7:27am, 7:33am, 7:39am and 7:45am. 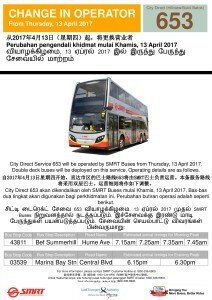 2017 (13 Apr): Transferred to SMRT Buses Ltd. Trip details revised. Double-Decker Buses deployed. 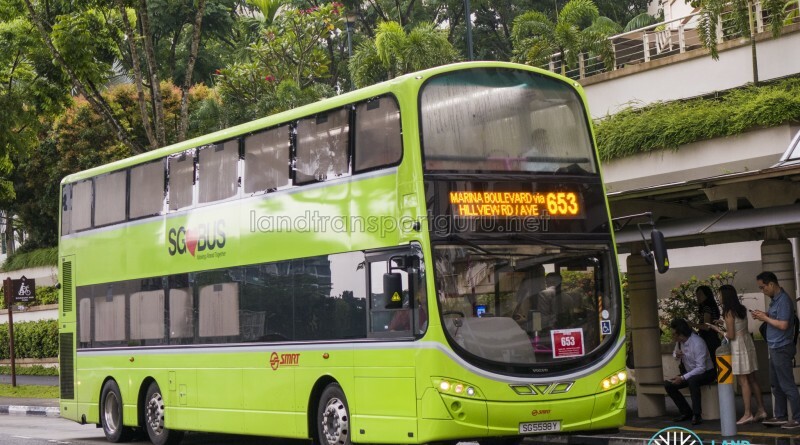 I dont see the bus which is scheduled at 7:25am…….. is there any changes to the bus timing ?? On the new bus right now, the driver is driving at 40km/h….this is too much, when will I get home? It’s good that we are guaranteed seats and all but if you are going to be driving this slow, I would rather take than the train, at least I know I can get to work/home quicker. I feel exact the same. I don’t take this bus anymore and take the train to work now . I bet many people would do the same as I see a few on the bus. Take the train, you mean? And it’s not that many people would do the same. It’s just that they do not want to comment about that. 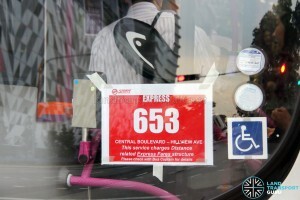 And remember, the service charges express fares, which is more expensive, that’s why you saw a few on the bus. New 653, so slow. I’m sure I won’t be able to make it to work. I like the previous one much much better. Maybe I should take a train. I was 30minutes late this morning. Can’t take it. 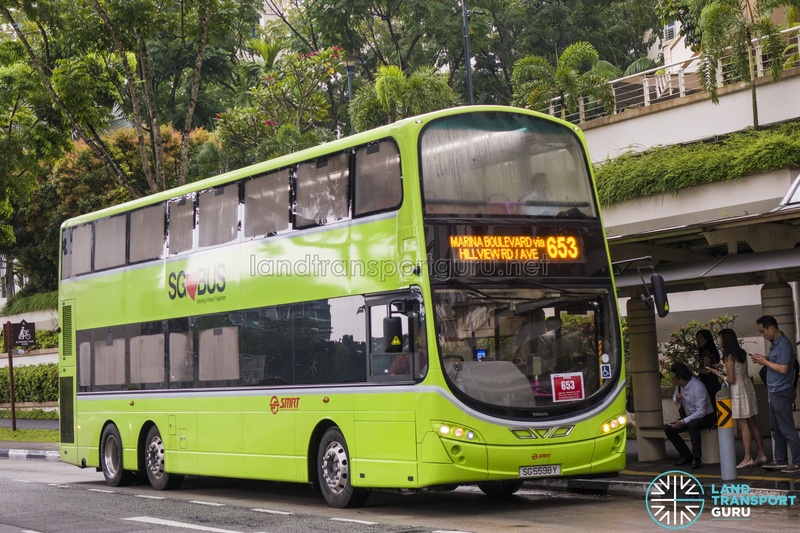 OK, you have double-deckers, and passenger load is up, so the bus driver has to ensure the passengers’ safety not just at the lower deck but also at the upper deck. The driver has to slow down. Furthermore, today’s the first day of operations. Yeah, I won’t take this bus as this will take more than 65 minutes. Thank you for your advice. 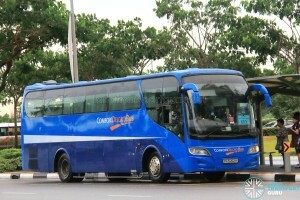 I miss the blue bus. Frankly speaking, I miss it, too. So new operator is charging the same price for buses with narrower seats without headrest and seat belts? Lesser value for money now. 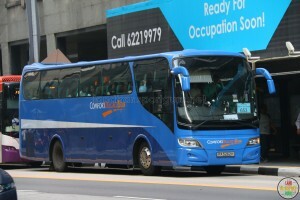 Come on, this ain’t Premium buses. I took 667 and never used a seat belt. Less comfort, more trip time.